What does ACE cc stands for and what do they offer? ACE cc stands for Athletic, Cultural and Entrepreneurial Community Centers; and they are to be located in remote communities throughout Iran. They offer sport & exercise facilities, educational and cultural training at a nominal fee (free of charge for those not able to afford). They also focus on create economic opportunities in small communities by organizing annual events, helping existing mom and pa operations expand their businesses, and facilitate community residents to form new businesses by providing training, coaching, marketing and funding. How ACE cc’s are operated? The community centers will be operated most efficiently by relying on volunteer help where possible and on line programing for the services and programs they offer. There will also be a volunteer advisory council in each community helping oversea and operation and management of the centers. How ACE cc are financed; and how do they pay for their operating expenses? The funding to construct the community centers will come from donation mostly from Iranian people and corporation throughout the world. Once operational, each center will generate enough revenue to become cash flow positive within 2 years of its operation. What percentage of money raised goes to management? The entire Senior Management and the Board of Directors provide their services on a volunteer basis. 94% of all donations go directly toward construction of the community centers, and approximately 6% goes towards fund raising expanses, most of which relates to credit card and Pay Pal charges; assuming most donations are done through these facilities. How many Community centers are currently operational? The fund raising program will officially lounge in the summer of 2018. Preliminary works, planning, organization, design of the facility and product sourcing is currently underway with the objective of having the first center constructed and operational by the end of 2020. Currently evaluating a number of locations, as land has been offered by a number of interested parties expressing their desire to locate one of these community centers in their community. ACEcc’ has no affiliation to any political party or partisan group, and its objectives are solely educational, cultural; and creating economic opportunities to improve the quality of life in small communities. Where is the source of funding? Mostly Iranian people in North America, Europe, and Iran. Are there any recognition system for those contributing? Yes, depending on the level of contribution, donors will be recognize as, gold, silver or platinum in community centers, please see “Project” Tab on the menu line for further details. Is it possible for someone to direct their donation toward a certain location, or choose location of a community center? Yes, smaller donation can be directed toward certain location if there is community center planned for that location; also any one person or a company donating in excess of $ 250,000, can select their location. Where are community centers located? The community centers will be spread fairly evenly throughout Iran, with priority be given to economically more depressed areas. A preliminary map of community locations is provided under “Project” Tab on the menu bar. Currently no; however we are working towards making donation tax deductible in North America & Europe, and we are hopeful that we can. What percentage of donations are used for program?  94% of all donations goes directly towards project development, and 6% towards fund raising cost and expenses. Senior management and the Board of Directors provide their services on a voluntary basis. We are also relying on 100’s of volunteers throughout the world to provide their expertise to develop and support the programs offered. There are numerous ways, you can help by making donations or offering your help and expertise on a volunteer basis (Please refer to “Get Involved” tab on the Menu bar).